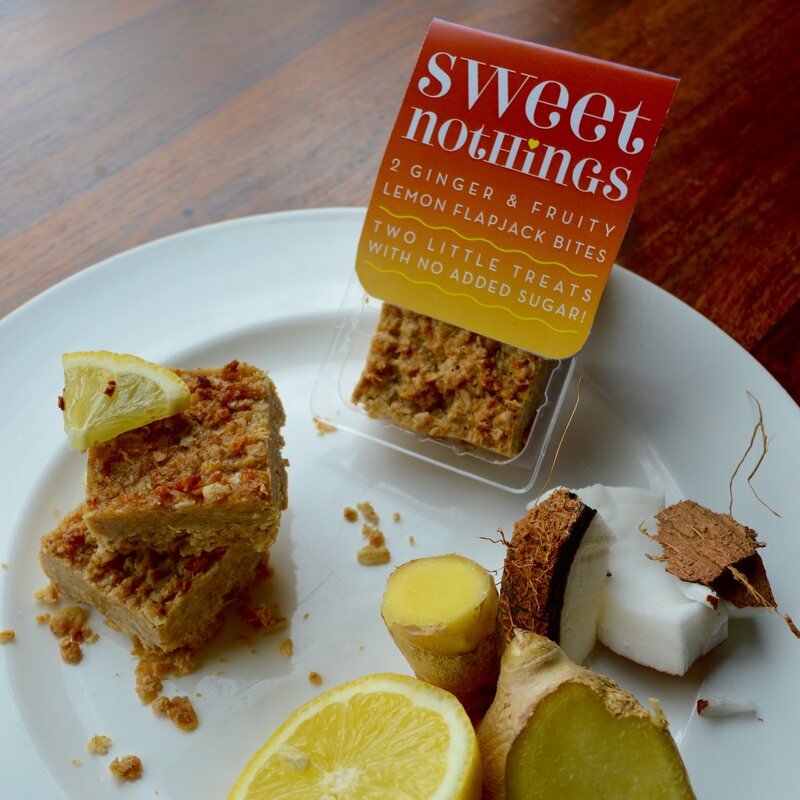 Sweet Nothings' nutritous and tasty flapjack bites are baked with no added-sugar! They are also gluten-free, dairy-free, free from preservatives and suitable for vegetarians and vegans. They have a long shelf-life (up to 6 months), and are baked using only natural ingredients such as coconut oil, apples and gluten-free rolled oats, plus a little citrus oil, spices, nuts and dried fruit, depending upon the flavour you choose. This particular flapjack is the Ginger and fruity lemon flapjack. Delicious! Delivered in cartons of 12, they're ideal for the active consumer wanting to live a healthy lifestyle - all the energy packed into our products is slow-release, so no excess calories to convert into fat! Each pack contains two bite-size portions, and total weight of product is approx 68b between the two "bites". I was looking something tasty with no added sugar for a while, until i found the Sweet Nothings. 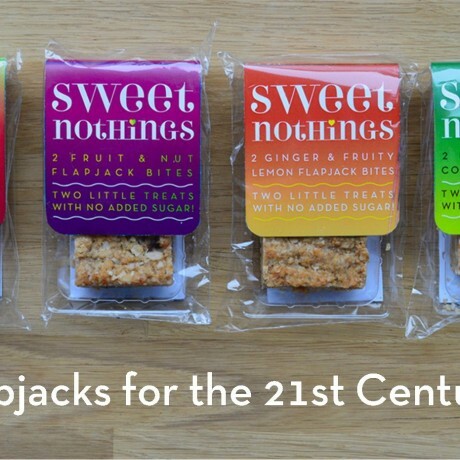 The Apple and Vine Fruit Flapjack Bites are my absolute favourite!!! I wish only they made more flavours. A little less sweet, a lot more healthy.